DUBAI, July 27, (AFP): Authorities in the United Arab Emirates have banned a leading business website and magazine for one month for allegedly publishing “false news” on failed real estate projects in Dubai. Arabian Business has withdrawn the report, entitled “51 Dubai projects under liquidation process,” and posted an apology stating “the information published related to projects dating from 2010 and as such are now outdated”. 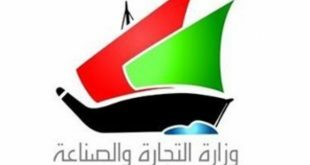 Dubai’s media regulation office released a statement confirming the Arabian Business website had been “blocked and the distribution of its print edition halted for one month” starting from Wednesday night. “The magazine committed violation of the rules and regulations of Dubai Creative Clusters Authority (DCCA) by publishing false news that was based on inaccurate information,” the statement said. The DCAA is a government agency that oversees media in the city. The office is “mandated to promote Dubai as one of the world’s most attractive cities for creative businesses,” according to its website. 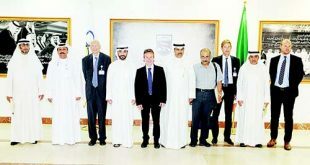 Representatives of Arabian Business were not reachable for comment Thursday. On Friday the government’s Dubai Media Office had denied there was any truth to the report, which it noted had been “copied by Qatari media”. The UAE, Saudi Arabia and Egypt in May banned Qatari news giant Al-Jazeera, arguing that the channel and website promote hate speech and extremism. The UAE is part of a Saudi-led bloc that suspended diplomatic and trade relations with Qatar last month over allegations Doha had ties to Iran and supported Islamist extremism. Arabian Business is published by Dubai-based ITP Media Group, a Middle East publisher which also produces Cosmopolitan, Harper’s Bazaar and Esquire in the region.